Just installed my flow meter: above ground, 1" PVC, after the backflow preventer. Installation was easy. 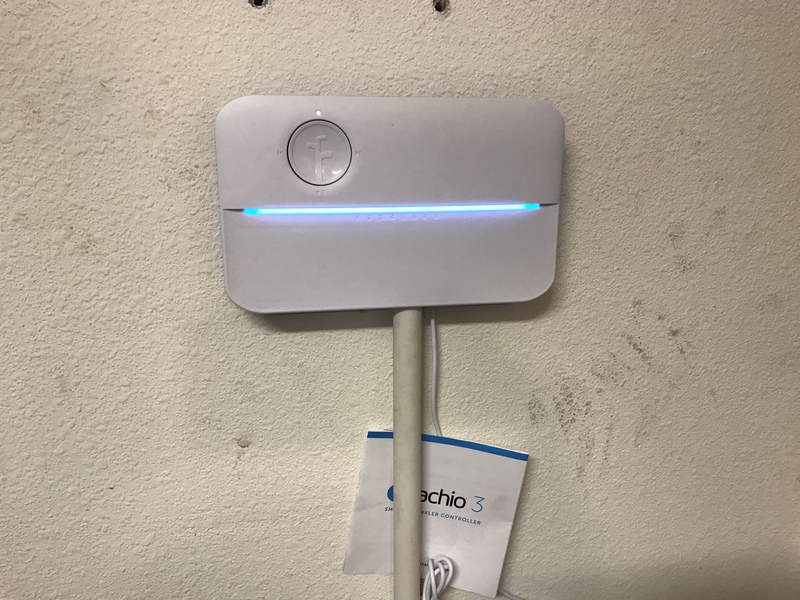 I’ve never worked with PVC before but followed the installation steps in the Rachio website and everything was completed in under 30 min. Very straightforward. Thanks Rachio for making installation a breeze! After I completed flow meter calibration, all zone times shifted to gallons used. This is a fantastic system!! Awesome! We’ve been waiting for some success stories, and some horror stories. Anything that was missing that could have helped out? above ground, 1" PVC, after the backflow preventer. Would love to see some photos of your handy work! I’m not an irrigation specialist so a couple of pictures may have eased the little concern I had a bit. But as I said earlier everything went very smoothly, so I really had no reason for concern. I had just never worked with irrigation systems previously so had to research (Google) backflow preventer operation so I was certain which side was input and which was output. Looks great! Much better than a few photos we have coming into support. Permission to post your photo on a support article? Thinking this article would be a good home for it. Published! Your system will be famous!! I really want to install one of these as well. im expecting my system to show upnext week and need help identifying my pipes. Check out Step 5 on this support article. Let us know if you have any questions. I meant more of just identifying where to put the flow meter. my system basically comes off of my main water like this and then outside to the sytem. Gotcha. You can put it after your back flow in the basement. I’m 95% certain you have 1" PEX; find fittings here. or should i mount it on the vertical and follow the 14" rule? 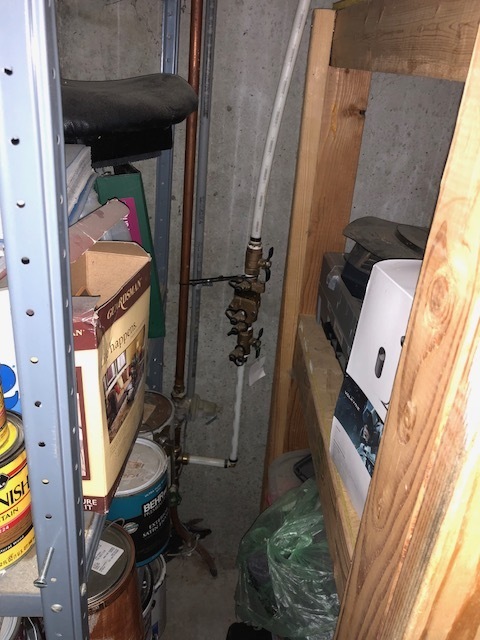 @IxsharpxI, as long as you install the flow meter after the backflow and there’s 6 inches of straight 1" pipe before the flow meter, you’re good to go! Hope this visual helps. 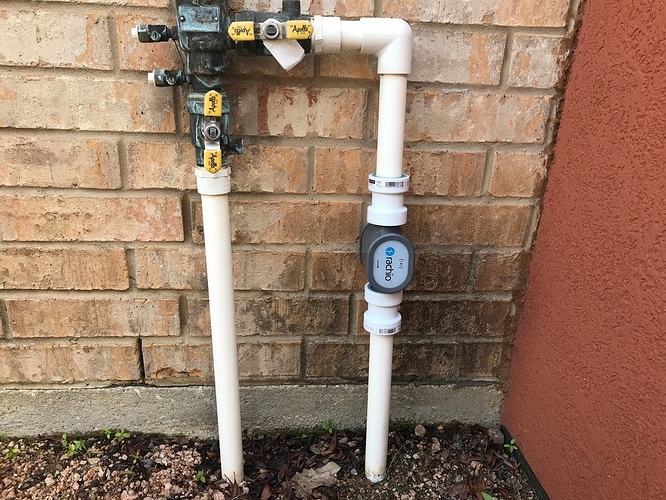 A post was split to a new topic: Flow meter install success! well crapp… just got all of this cut apart to find out i have 3/4 in pipe. so now my fittings are wrong. Which fittings should i get and is 6" still correct?